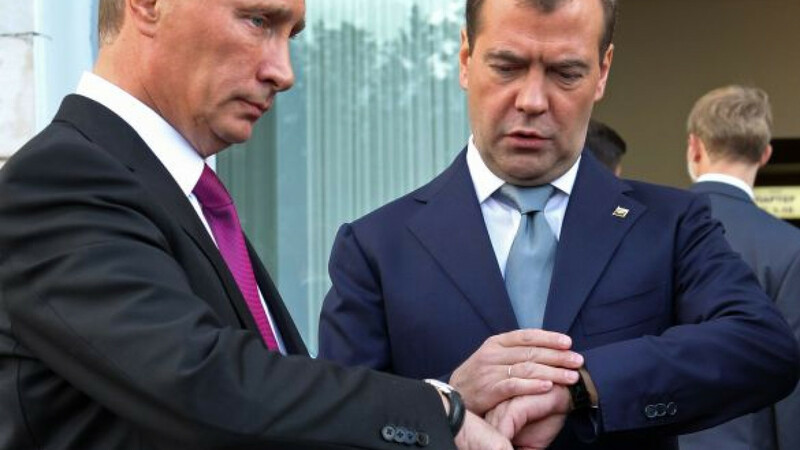 Prime Minister Dmitry Medvedev declared Thursday that he has no immediate intention of reversing his decision to leave clocks on summer time the whole year. The move he made in 2011, when he was president, has been widely unpopular as it has plunged the nation into darkness until late morning throughout the winter. And now it’s not clear if that decree will last. Medvedev’s mentor, President Vladimir Putin, has indicated that Russia could switch back soon. Putin said in December that sticking permanently to summer time would make it difficult for television audiences in Europe to watch the 2014 Winter Olympics in Sochi. The games are known to be close to Putin’s heart. On Thursday, the daily Izvestia, which kowtows to Putin, said that the Cabinet had already made the decision to switch Russia permanently to winter time and that a decree will be issued soon. The government quickly denied the report, and then Medvedev himself told a Cabinet session that he sees no point in switching the clock now. The switch to summer time is one of the few of Medvedev’s reforms that has survived Putin’s return to the presidency.